Rhinosinusitis is one of the most common health care problems facing the primary care physician and results in significant heath care costs. With an increasing prevalence and incidence, it is believed that approximately 31 million Americans are affected by this condition annually [1, 2, 3, 4, 5]. 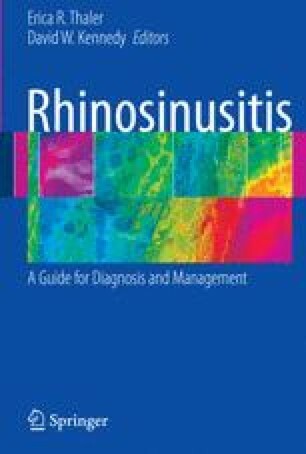 Rhinosinusitis significantly impacts patients’ quality of life and results in marked physical, functional, and emotional impairment. Thus, a good understanding of the pathogenesis, microbiology, and immunology of this illness is needed for accurate diagnosis and proper treatment.